dmitriid: Facebook Workplace is a mini-Facebook for corporate clients. 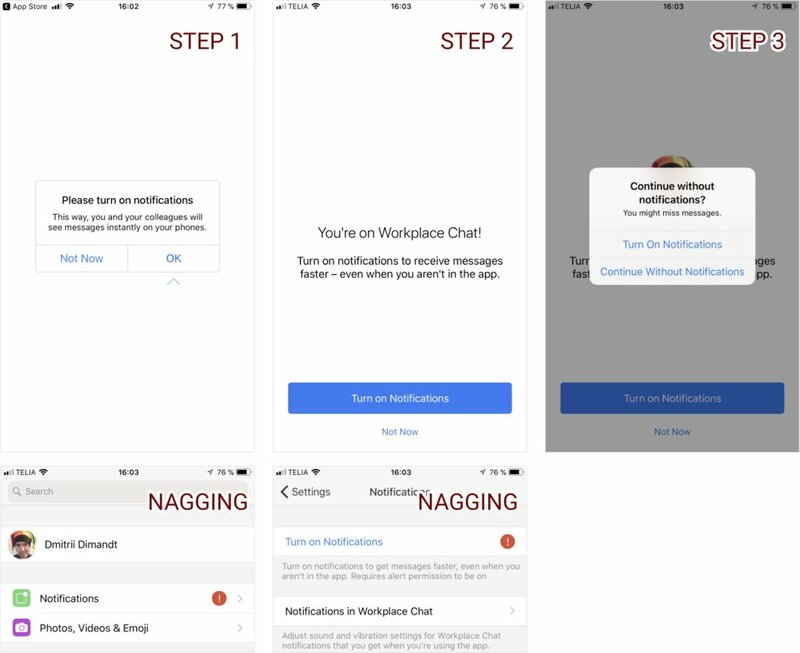 The Workplace client really really insists that you install a companion app called Workplace Chat. And when you start it? Oh boy, you are in for a treat. - Ok, but here is your permanent reminder in your settings that you must enable notifications. This isn't even an illusion of giving the user a choice. It's reminding the user that no, they have no choice but.